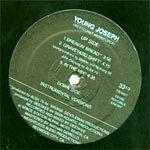 Former SFSM member Young Joseph steps to the plate with his first single off the 'Summer Fling' album. Street savvy meets conscious knowledge. 'In the Mix' available only on this single. 1 produced by Alex75, 2 & 3 by Deeskee.